Christmas is a tough time for a lot of people. No more so than if you’re homeless or don’t have enough money to get by. 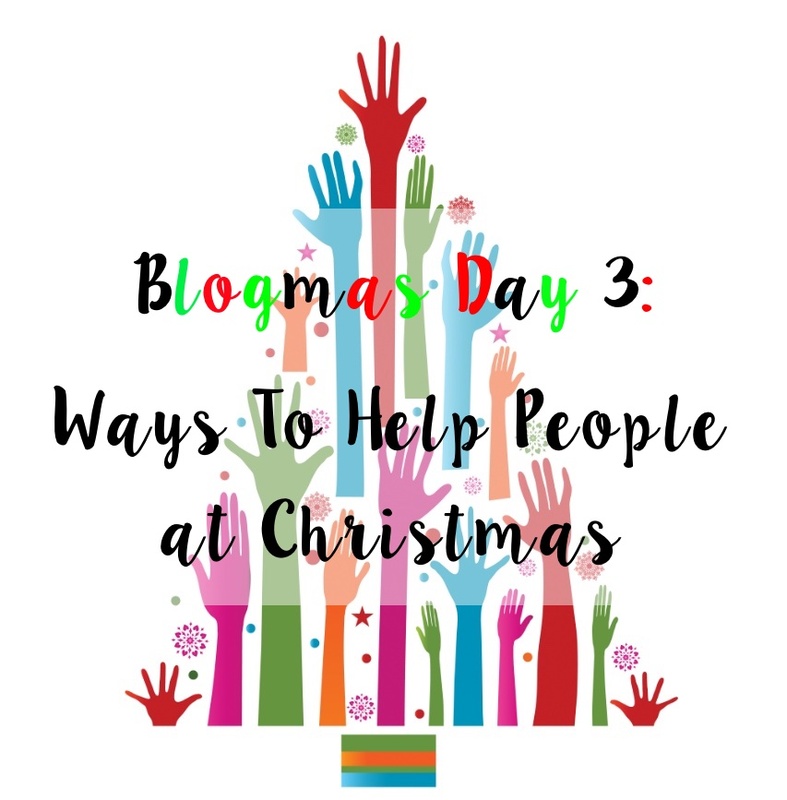 So I decided to list a few ways that you can help people this festive season, particularly as Christmas is all about giving. I’ve already done this in place of sending my colleagues Christmas cards this year and the charity I donated to, Disability Challengers, I know will be very grateful. One great charity to donate to is Crisis, as they are helping the homeless this Christmas and giving them some lunch, the chance to use a shower and many other things we take for granted. Find out more here. If you’re on your own at Christmas or want something nice to do, why not volunteer at your local food bank and hand out food to people less fortunate than ourselves? They also must have some great and eye-opening stories to tell. You can also give your food to a food bank, as most people have some old tins at the back of their cupboard they’ve never used that are still in date. Also kids’ toys are great to give, as some children won’t get any presents this Christmas because their presents can’t afford it. Drop them off at your local food bank or search online for more ways to help. When women are homeless it can be a nightmare, as they have nothing to help with their menstruation and don’t have the money to buy sanitary products. You could create packs of everything they might need and take them down to your local womens’ shelter - they would be very much appreciated I’m sure. If you have an elderly neighbour or know someone that does, Christmas can be a lonely time for them. Go and cheer them up by paying them a visit or giving them a call, letting them know that you’re thinking of them. Even invite them for Christmas dinner and if you don’t know them that well, it’ll be great to listen to their fascinating stories. Hospitals are grim places to be at the best of times, let alone spending Christmas in one. Children’s hospitals can’t afford to buy a present for everyone in them, so Magic Radio are running a great campaign where you buy an extra present for a child and take it into your local Wickes store or Hamley’s in London, and Magic will give that present to a child in hospital. There’s just a few wonderful ways you can help those in need at Christmas. If you have anymore suggestions, please feel free to tweet me or leave them in the comments below.